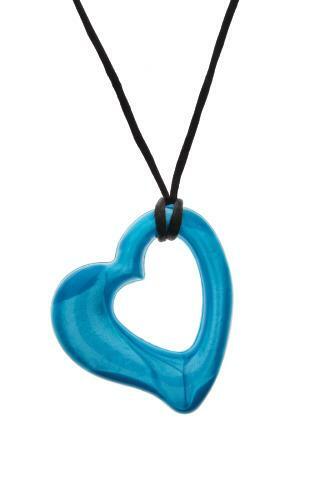 A versatile chewing option that is an attractive pendant style necklace, but also a great, squishy fidget item. The heart has various thicknesses around the perimeter and an opening in the middle that allows plenty of room for fingers to grab and squeeze. Comes on a soft cord. Made from medical grade, FDA approved silicone and are lead, latex, BPA, PVC and Phthalate free. NOTE: Chew products are not returnable. Dimensions: 2.5" x .33" x 2.5"